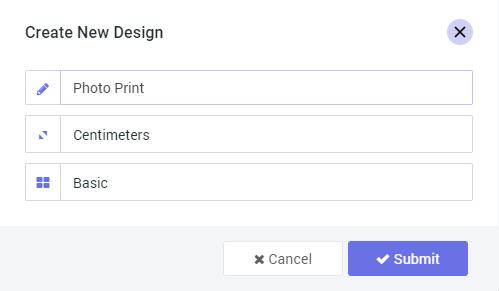 This module allows your customers to easily order print copies of their photos, sourced from their social media accounts or those stored on their computers and mobile devices directly from your online store. 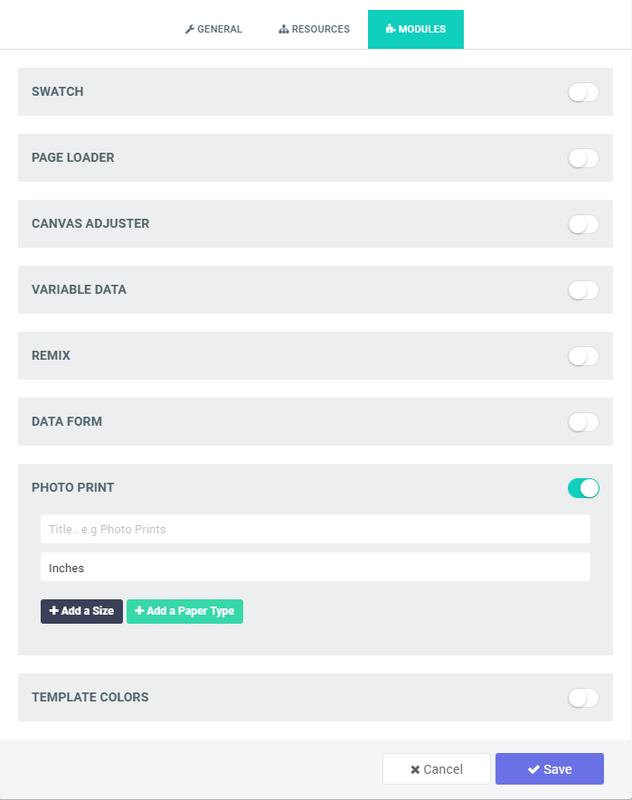 This dialog allows them to set the Quantity, Size and Paper type per photo. Please note, this is a Premium Module and only available to Premium subscribers. 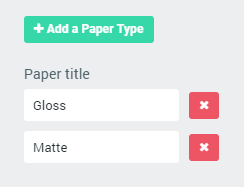 To enable this module, navigate to your Designs Page and create a blank design with a title in a category of your choice. The design can have just a single blank page. This will eventually be removed. This should pop up the panel shown below. Navigate to the Modules Tab, there you will find the Photo Print module, Click to enable it. Now you can give it a title, and choose the measuring unit you'd prefer. 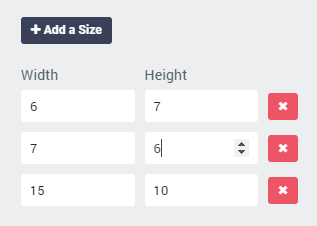 Next click the Add a Size button, you can add as many sizes as you require. 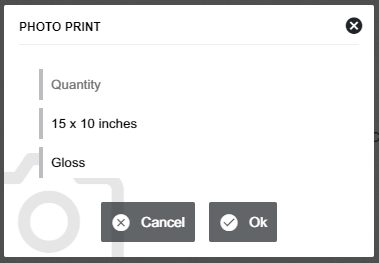 Lastly click the Add a Paper Type button to add the types of printing paper you have.